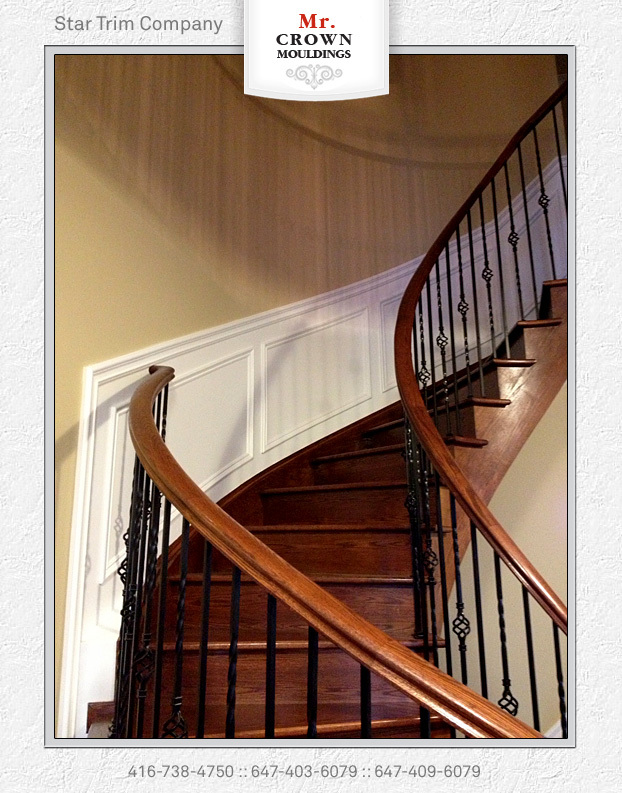 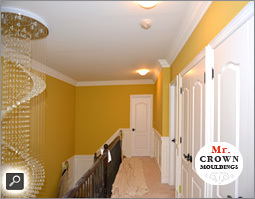 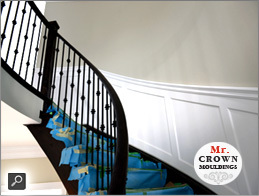 Wainscoting is a wood covering that is applied to the lower portion of a wall. 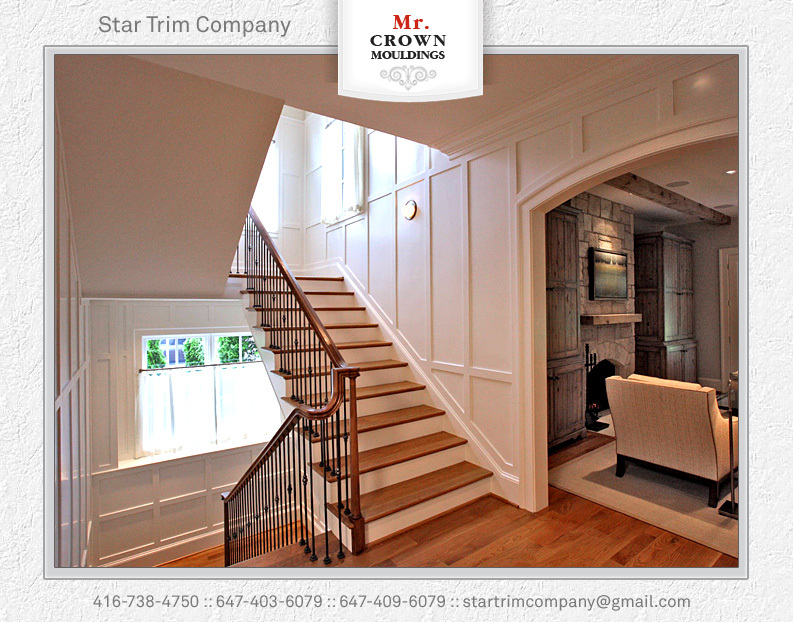 In the past, wainscoting provided a practical way to help keep warmth, as well as to enhance the look of the ever present stone walls. 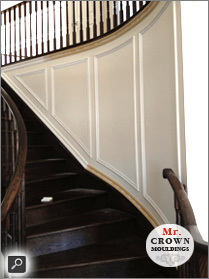 Wainscoting was even used in state rooms on trains and boats. 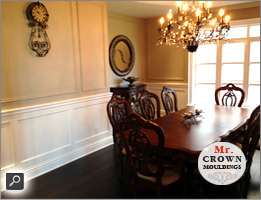 Today, you can use the rich look of wainscoting as a decorative element to dramatically transform just about any room in your house into a warm, inviting space. 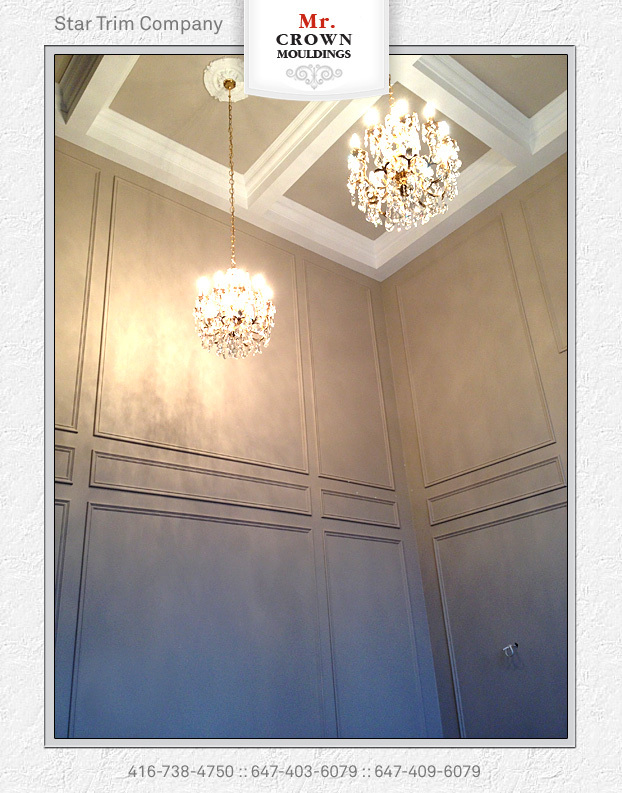 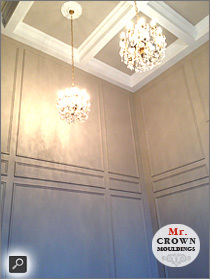 Covering a wall with wainscoting can make a big statement and add interesting detail to a room that lacks character. 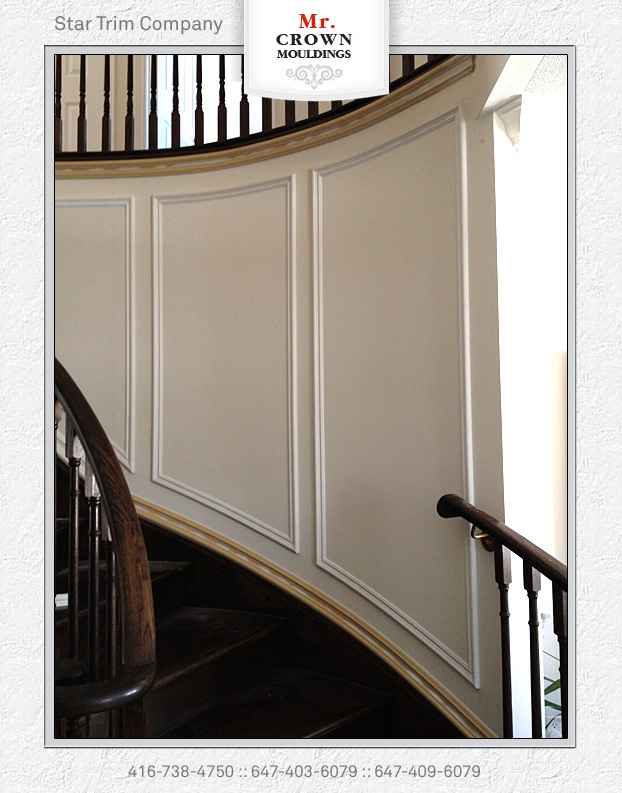 Wainscot paneling is tough enough to withstand cleaning and protects your walls from damages caused by everyday use. 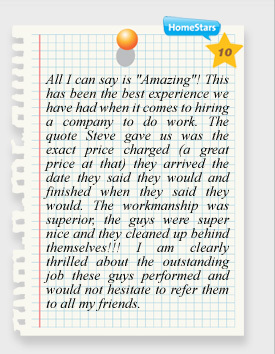 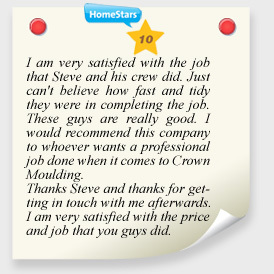 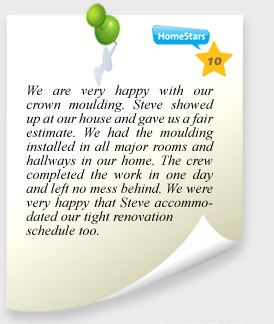 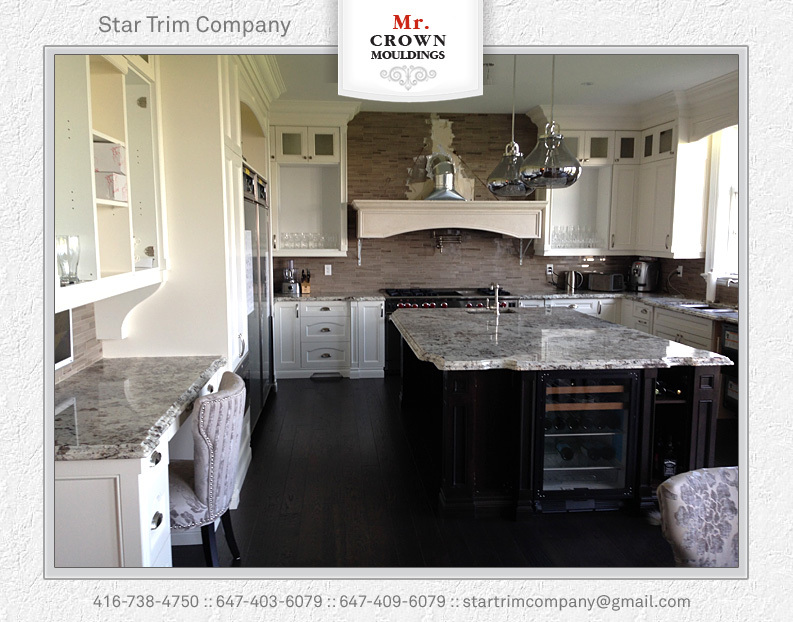 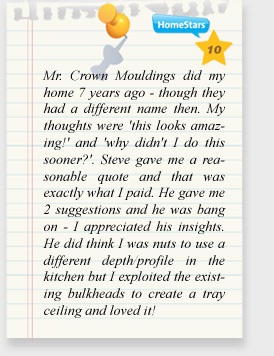 Check our REFERENCES on HomeStars Directory. 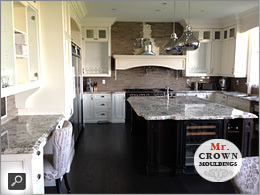 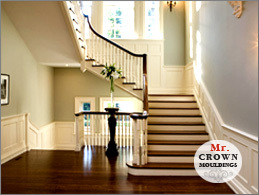 Raised panel woodwork is such a popular addition to homes for a few reasons. 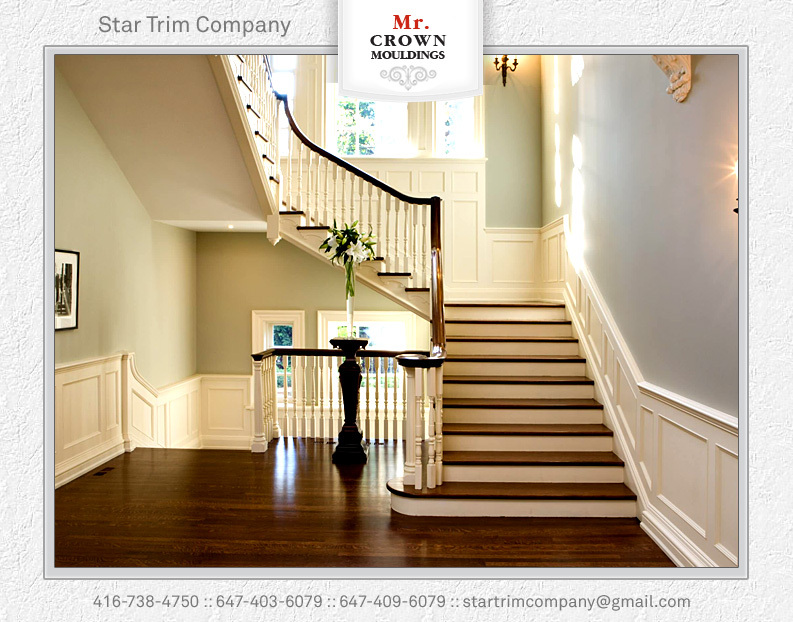 First of all, it is steeped in tradition. 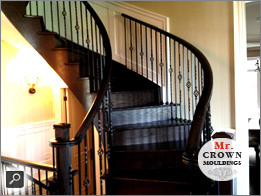 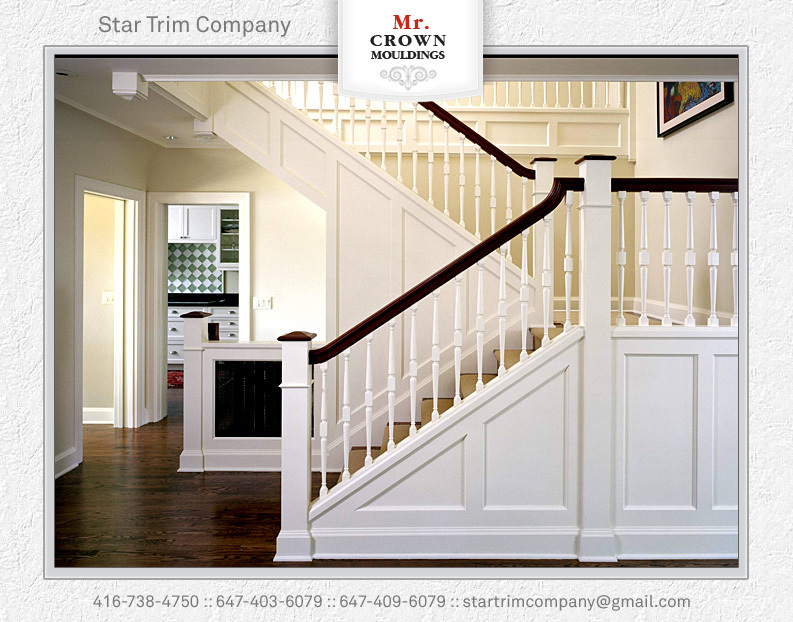 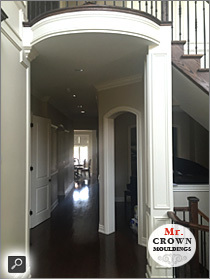 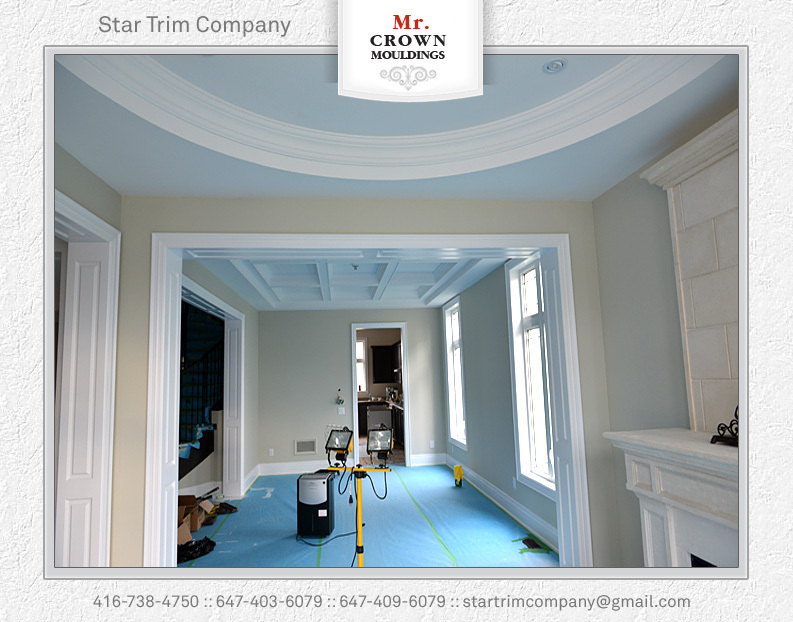 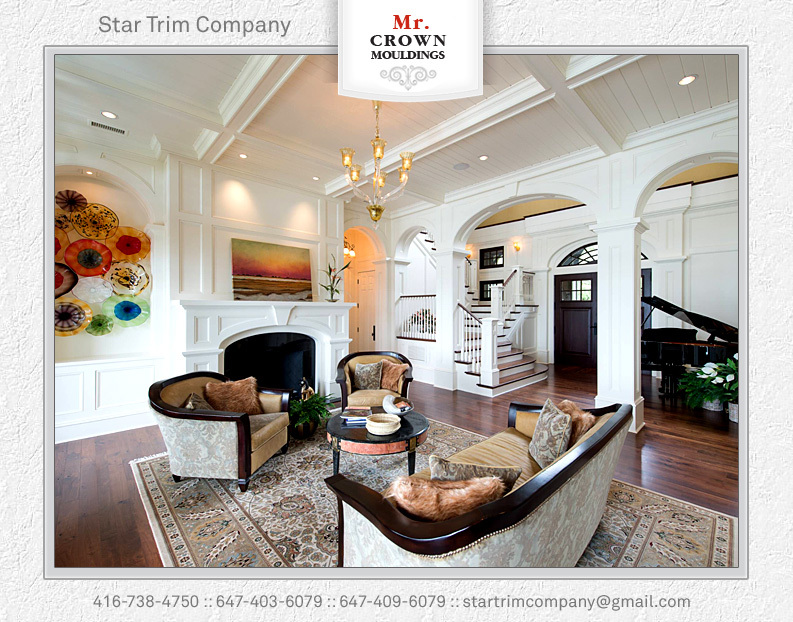 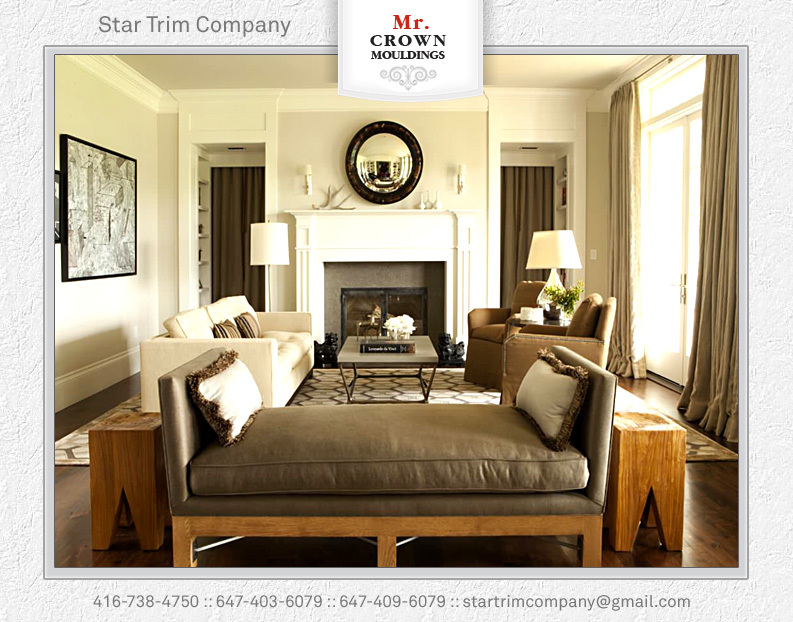 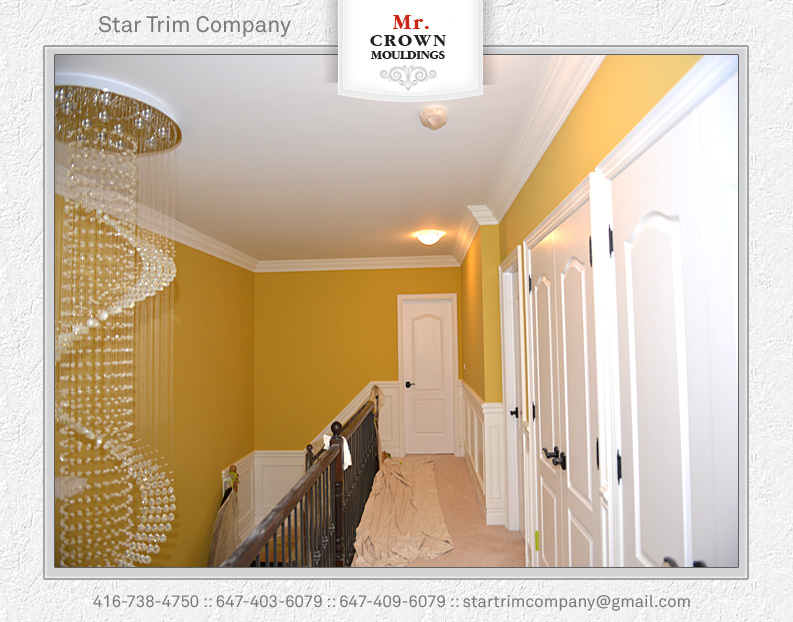 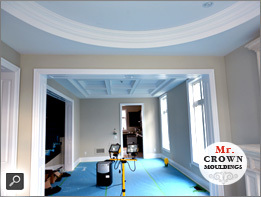 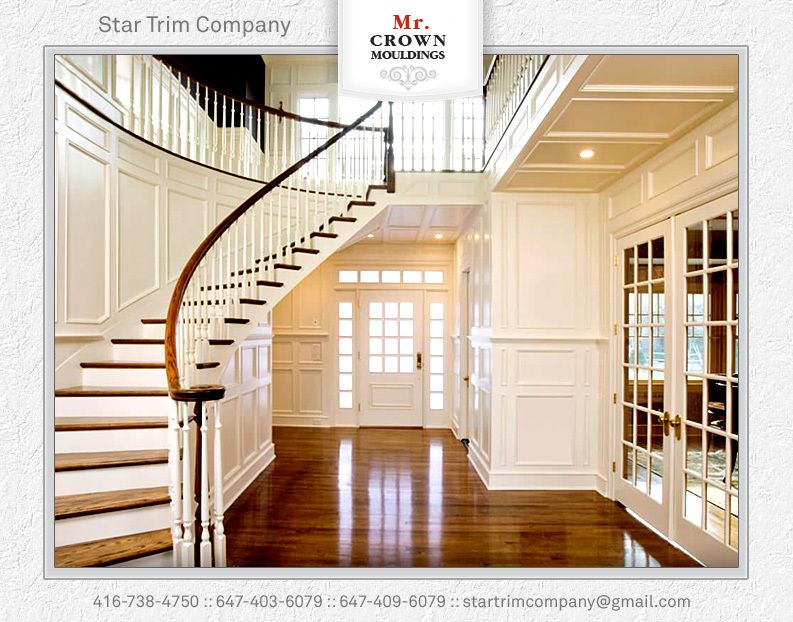 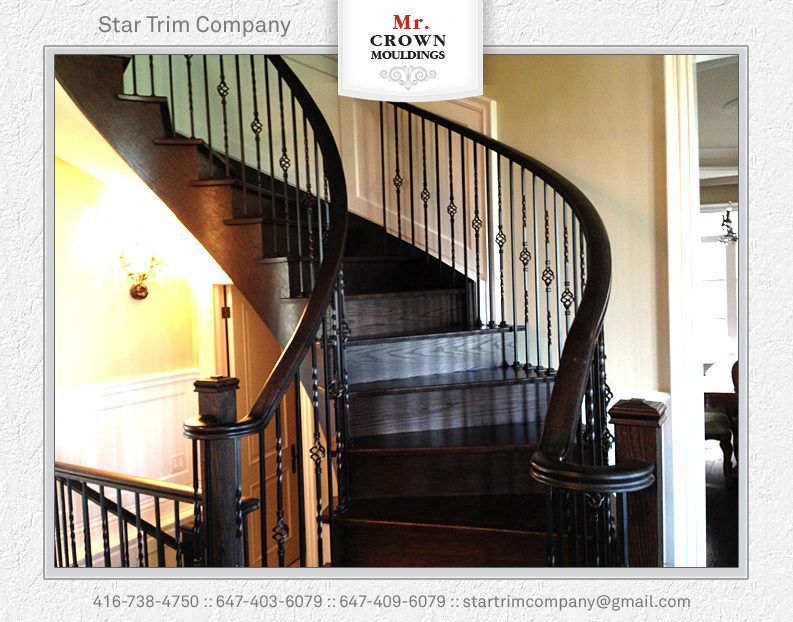 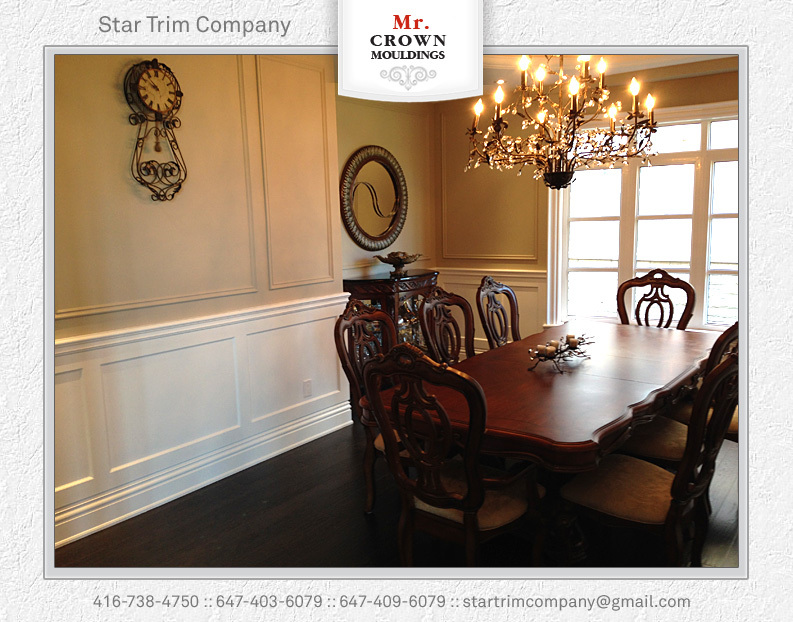 For going on four hundred years now, raised panel wainscoting has been regarded as the best of the best. 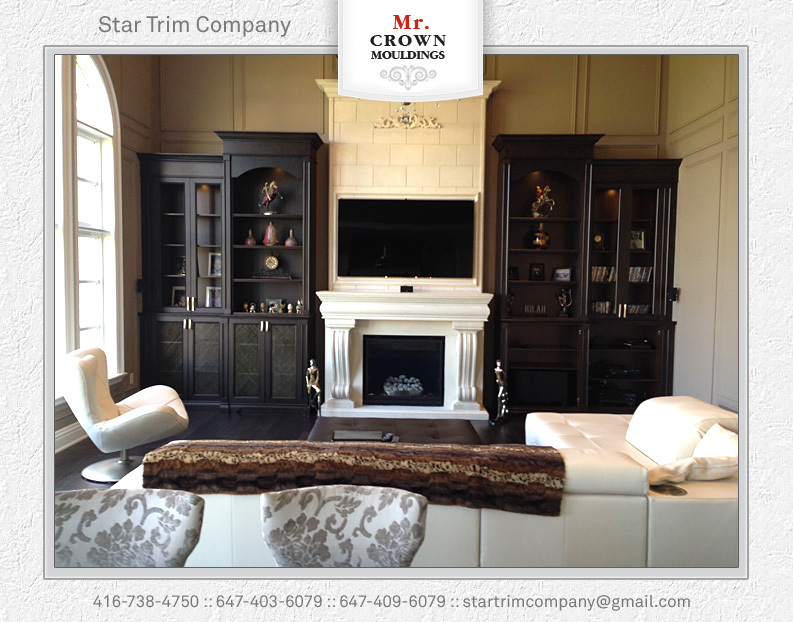 It has been a symbol of status, of wealth, and of excellent taste. 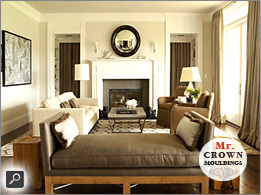 The reason it rose to such prominence is the other explanation for its popularity. 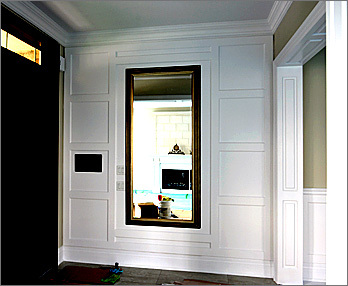 To put it simply, no other paneling comes close to it in looks. 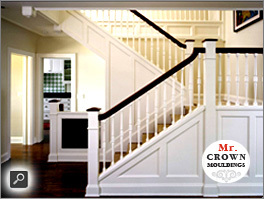 Beadboard has a decidedly informal appearance, while flat panel and craftsman style panels were introduced with modesty in mind. 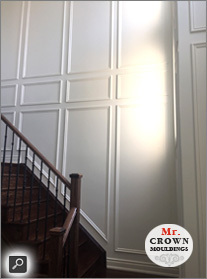 Raised panel wainscoting, however, is carefully built to accentuate the shadows, lines and ridges that are part and parcel to the style. 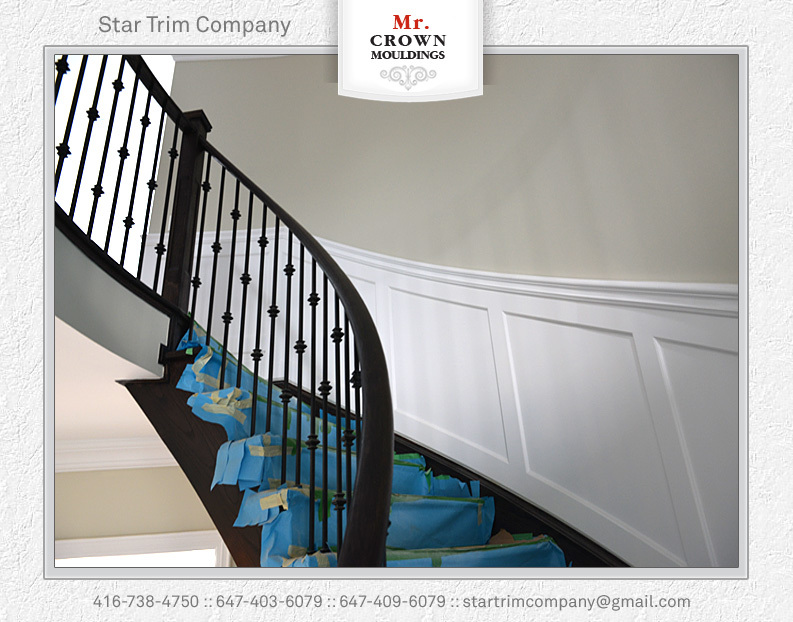 It's meant to look good and to be noticed, no matter where you choose to have it installed. 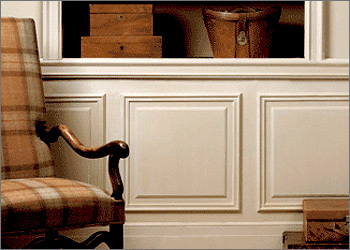 Typically chosen when a casual, country or coastal look and feel are desired, Bead panels are an excellent type of wainscoting for enhancing any room or space in your home. 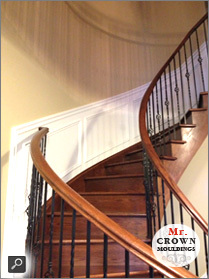 Beaded Panel Wainscoting combines the vertical lines of classic beadboard, surrounded by a framework of stiles and rails normally found only on traditional frame and panel wainscot. 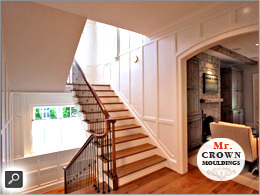 Taken together, this combination delivers all the refined simplicity you expect from beadboard, even across large walls. 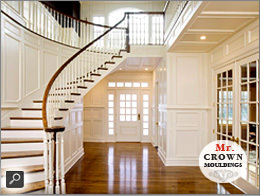 But where ordinary beadboard might appear too visually busy over expansive areas, beaded panel wainscoting just keeps on looking great, without ever becoming overwhelming. 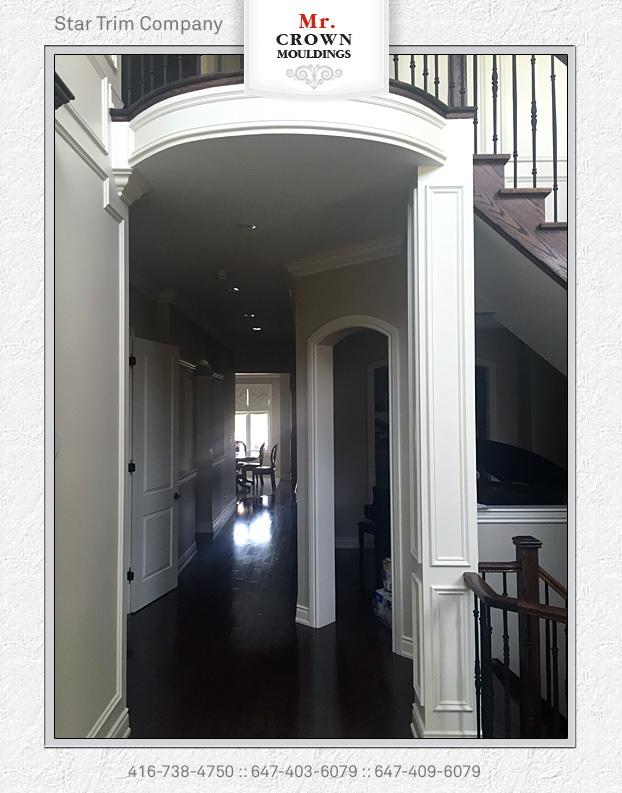 They add just enough visual variety to make it all work. 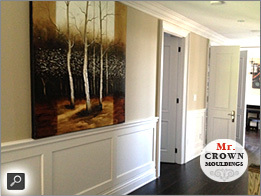 Areas such as your Foyer, Dining room, Living room, Master bedroom and Hallways can all benefit from a facelift of Bead Board Panel wainscoting. 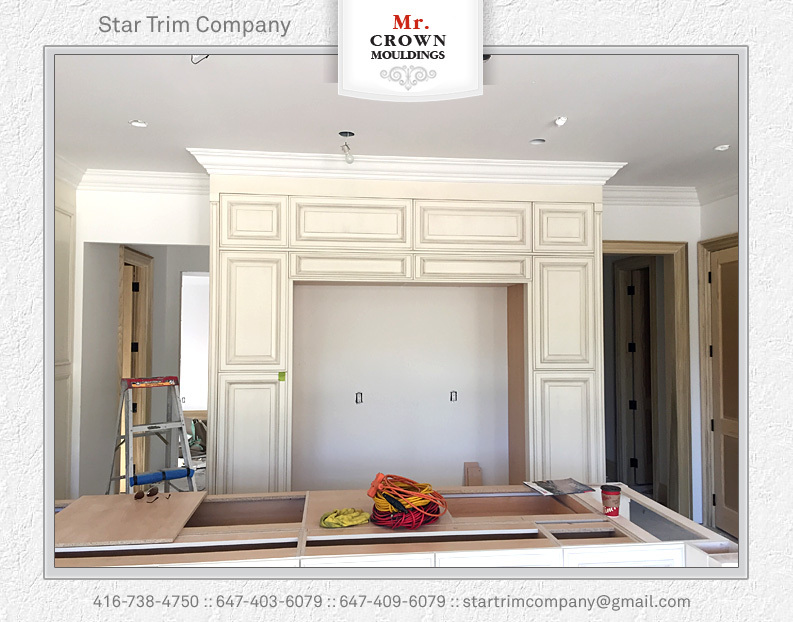 Flat panel wainscoting brings a sense of style and elegance to a room, as it covers bottom of wall and has a traditional feel. 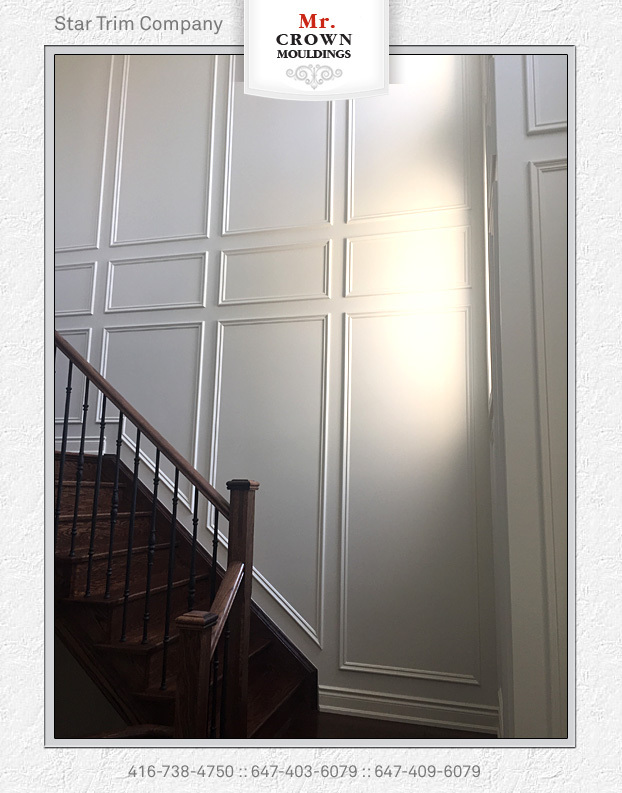 As paneling comes in different varieties, such as wood, embossed wallpaper, there will be one that matches your decorating style. 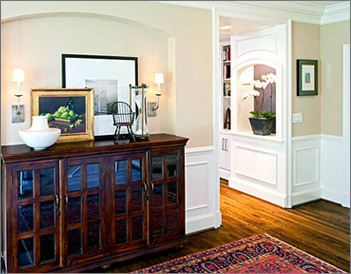 A cozy den benefits rich tones of flat panel wainscoting. 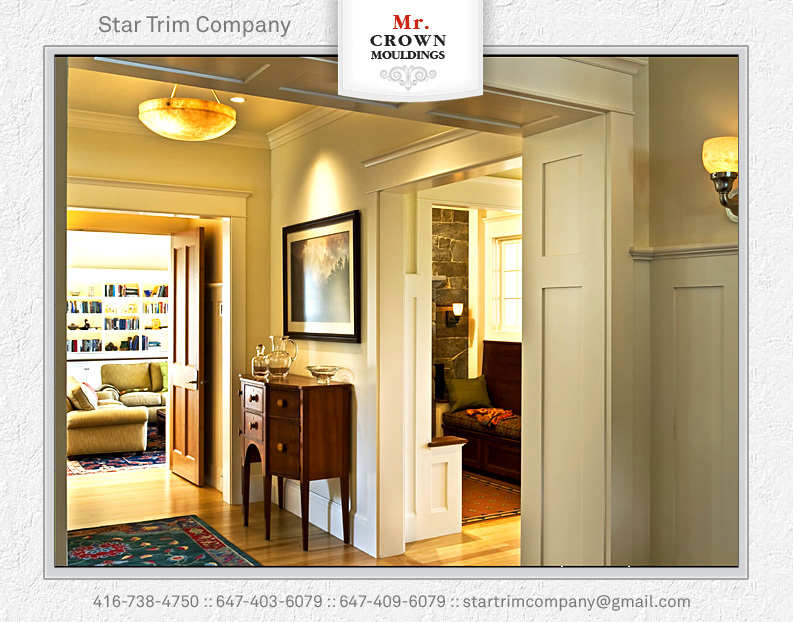 Whether you install three quarters of way to ceiling or chair-rail length, treat wood with same, or a similar spot as other furniture and wood in room. 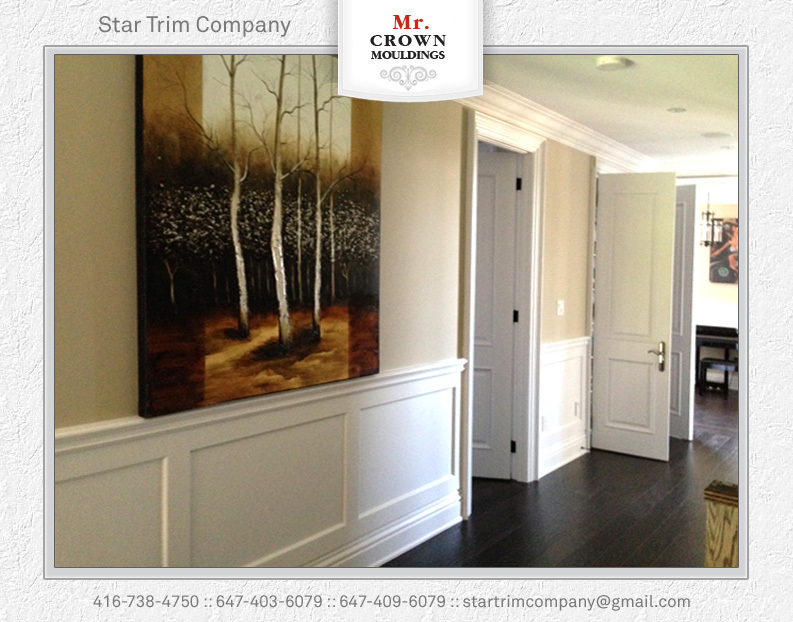 Flat panel wainscoting works well in bathroom. 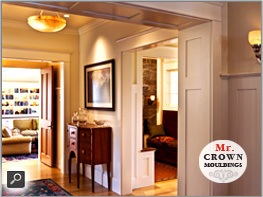 Not only would bring a touch of warmth to room, but also brings texture to offset elegant material of tub, toilet and sink. 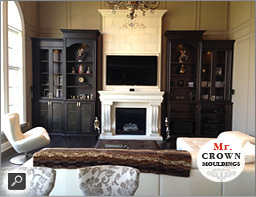 Bead board can be purchased in white or wood or a product that can be painted shades. 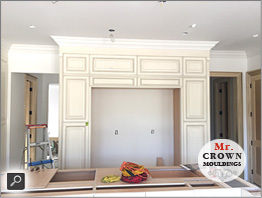 As bead board has a raw edge at top, or attaches a wallpaper, wood trim, or shelf along upper perimeter of chart of accounts to give room a finished look.